Friday’s Fresh Five! (6/21/13) | What about this? 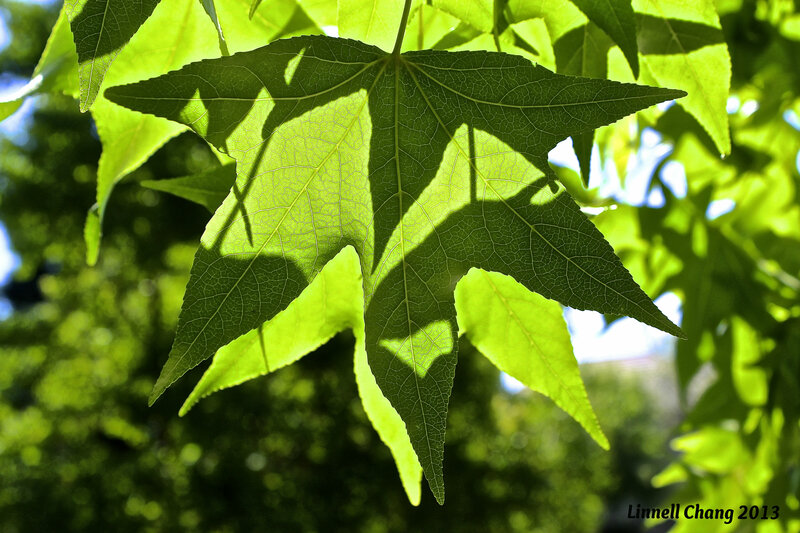 High in the sky, the sun created a leafy shadow play for me as I sat under the verdant canopy of a Liquid Amber Tree. As the overlapping leaves moved with the breeze, dark and light patches of green danced across them. Studying the contrast between the angular shadows and the backlit leaves, reminded me once again of the supreme artistry of Mother Nature. 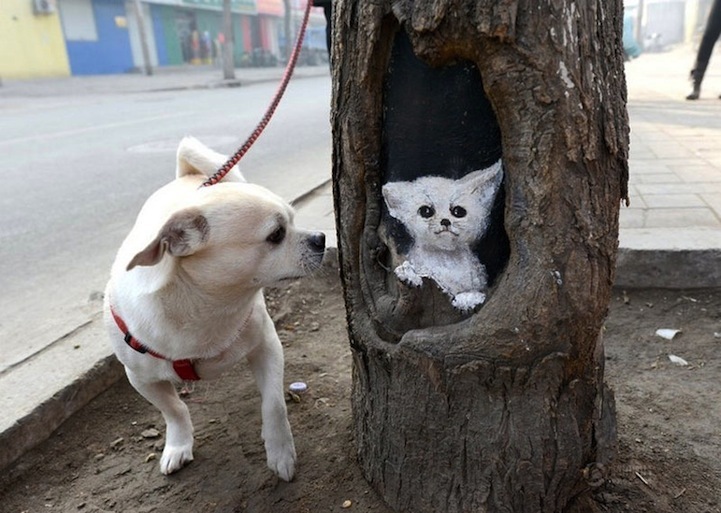 Wang Yue, a Chinese art student paints on unusual surfaces. Instead of painting on canvas, she paints on tree hollows. Passersby must do a double take when they walk by one her pieces of art. Read more about the artist and view more examples of her art by clicking here. As I typed in the title, “Re-Purposing Books,” I felt like a traitor. Books have always been sacred objects with one purpose to me, so the mere idea of dismantling them, didn’t sit well. But I suppose, if books are headed to landfills, they should be rescued and re-purposed. If you have old books which libraries and charities no longer want, check out these ideas before you throw them in the trash! While making an omelet the other day, I noticed that some of the raw eggs had cloudy whites and some had clear whites. Wondering if the cloudy whites indicated something bad, I did a little research. It turns out that I had it backwards: fresher eggs have cloudy-looking egg whites and older eggs have clear egg whites. Read Egg Health Info: What You Don’t Know for more egg-related information. 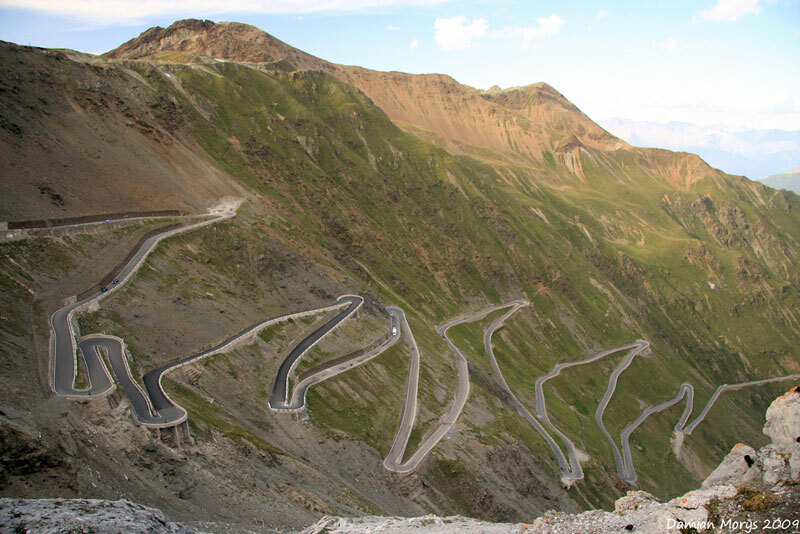 In the photo series 21 Roads You Have to Drive in Your Lifetime, you’ll see some of the most spectacular roads around the world. The photos will wake-up the travel-bug inside of you, unless you are prone to car-sickness!